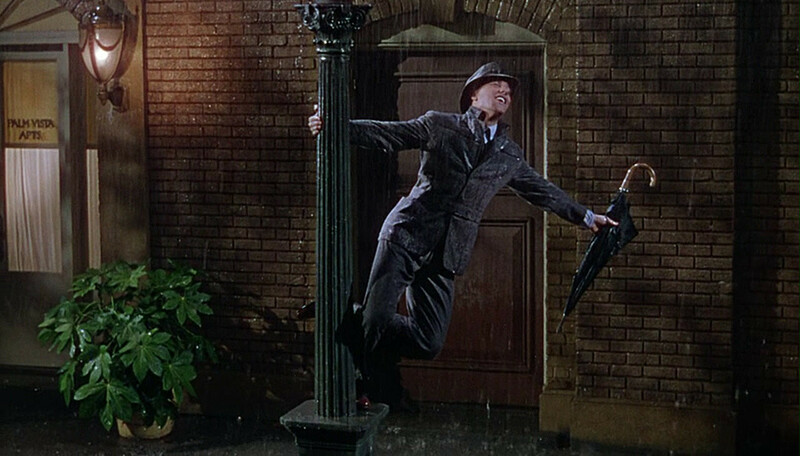 A celebration of song, dance, and Hollywood history, Singin' In The Rain has an infectious positive energy, and a young, celebratory attitude. In the late 1920's, Hollywood is transitioning from silent to talking movies. Screen couple Don Lockwood (Gene Kelly) and Lina Lamont (Jean Hagen) are the biggest stars of the silent era, and they face contrasting fortunes. Lockwood has the talent to continue his career, but Lamont's screechy voice is a deathblow to her future as a movie star. In the meantime, Lamont believes the studio hype that she and Lockwood have a real-life relationship; in reality, he is falling in love with young struggling actress Kathy Selden (Debbie Reynolds). With the latest Lockwood and Lamont film release facing financial disaster unless it can be quickly turned into a talkie, Lockwood's sidekick Cosmo Brown (Donald O'Connor) comes up with the idea of having Selden provide the voice-over for Lamont. Lockwood builds on this and converts the film into an all-singing, all-dancing extravaganza. But the jealousies between Lamont and Selden threaten to side-swipe all their careers. The plot is funny, interesting and romantic, but it is just a side-show. Singin' In The Rain is a collection of terrific, innovative song and dance numbers, transitioning the Hollywood musical into a new era, and in many ways setting the stage for what would become the high-energy music video in decades to come. 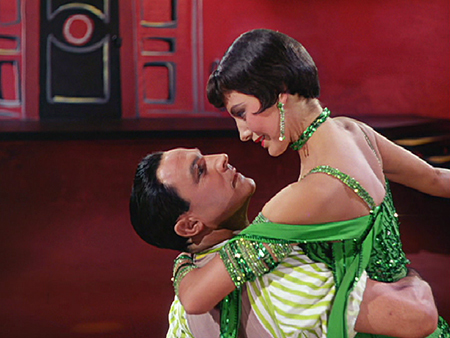 Gene Kelly, who co-directed with Stanley Donen, projects a self-depreciating persona while infusing the dance numbers with unbridled joy and enthusiasm. He finds the perfect partners in the impossibly rubbery and quick-witted O'Connor, as well as the spunky and willing Reynolds. Make 'Em Laugh, Singin' In The Rain, and Good Morning are just some of the classics re-imagined and revived in vivid colours and with creative props, Kelly, O'Connor and Reynolds attacking physically demanding numbers with conviction and a smile. Late in the movie, Kelly inserts the long Broadway Melody Ballet scene, with Cyd Charisse putting her endless legs to excellent use, in a sequence which has nothing to do with the plot but that at the same summarizes everything about Singin' In The Rain: brash, modern, and vivacious.